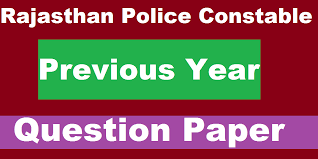 General knowledge questions Date Wise 08-01-2018 GK question With the answer, GK for like Rajasthan police New Exam Date 2017. And Rajasthan police exam Admit Card And Syllabus 2017and SSC MTS SSC CGL SCC CPO SI Gram sewak, GK Quiz in hindi, And Rajasthan GK for all competition exams, Railway GK Police, CRPF GK, GK for Public service commission, Govt Jobs GK, GK for IAS RAS IPS, India GK, Science GK, Social Science GK, History GK, Chemistry GK, Maths GK, Reasoning GK, GK for competitive exams, computer GK, current affairs, current GK, world GK, Geography GK, RRB GK, RPSC GK,And All subject Wise Notes and Math, Hindi, English, History, Political Science, Psychology, Sanskrit Related Study material. Question (1) Which Vegetation is not available in Rajasthan? कौन-सी वनस्पति राजस्थान में प्राप्य नहीं है? Question (2) Which is the most suitable district for a Teak Plant? सागवान रोपण हेतु सबसे उपयुक्त जिला है? Question (3) which district does the Seven Groves grow broadly? सेवण घास किस जिले में विस्तृत रूप से उगती है? Question (4) Which district has the highest percentage of forest area? किस जिले में वन क्षेत्र का सर्वाधिक प्रतिशत पाया जाता है? Question (5) Which the Kalp Tree of the desert? Question (6) Where is the construction of the Rajasthan Canal? राजस्थान नहर का निर्माण कहाँ हुआ है? Question (7) Which one is not due to desertification in Rajasthan? कौन-सा एक कारण राजस्थान में मरुस्थलीकरण का नहीं है? Question (8) which region of Rajasthan, the forest of the Sangwan is found? राजस्थान के किस क्षेत्र में सागवान के वन पाये जाते है? Question (9) which district is silviculture in Rajasthan? राजस्थान में किस जिले में सिल्वीकल्चर की जाती है? Question (10) Rajasthan is the largest forest area? राजस्थान में सर्वाधिक वन क्षेत्र है?